In an idea shamelessly ripped off from Martin Creese’s excellent blog, I’ve decided to post up some of my favourite photos from the past year. Regular readers will probably recognise these pictures, but I’m halfway through writing half a dozen posts currently, so this seemed like a quick and easy way to fill in the gap until they’re ready! On reflection, I’ve been less prolific in my favoured industrial / mechanical themes in 2011, as I have a lot less time on my hands than previous years, and this isn’t going to change, so there will be a lot fewer posts this year. However, I want to try to get up to #300 this year, but we’ll see. This was one of my two explores of the year and was an old-fashioned (although hurried) through the fence and wander round explore around the now demolished Fernhurst Mill. I got some nice pics from the place, pity I didn’t get chance to see the fabulous engine house though. This one is very much my style and the kind of thing I look out for when exploring. I like this as although it’s a fairly standard shot, the converging verticals emphasis the size of the place, and the piles of rubble and dark skies give a foreboding sense of what is to come for the doomed mill. My only time spent overseas this year (unless you count The Isle Of Wight as being overseas) was a mini-cruise to Zeebrugge with the dreadful P&O. Well, the standard of service was poor on the ship, but at least Brugge was nice as was the weather. Taken from the deck of the ship as we left Zeebrugge. I took a whole series of similar photos at the nightshoot at the East Lancs, and it’s hard to pick a favourite. This once edges it for inclusion as it’s the most popular of the set on Flickr, although I still think the crop needs tweaking. Must remember to take my telephoto to this years so I don’t have to crop as much. As a lifelong plane nut (as well as working in the aerospace industry), the Vulcan is my favourite plane ever and has been since I first saw it at airshows in the 1980’s. Various airshow cancellations and no-shows meant our paths hadn’t crossed since 1989, but finally, at the 2011 Southport Airshow, my famine ended. Charging down the coast at low level, a large black silhouette erupted from the wings of the stage that was Southport beach to perform its exquisite, noisy ballet against a beautiful blue backdrop. Perfection. But I converted it to black and white anyway to emphasis the elegance and menace that this endearing shape provides. A fairly average holiday in the Isle of Wight at least afforded me the opportunity to take a quick look at the crumbling remains of the paddle steamer Ryde. Due to its location it’s not possible to get an interesting camera angle on it like I could with the Duke Of Lancaster, so this is more of a record shot, as I can’t see it being there for much longer. Nice idea for a retrospective of last year, Andy. 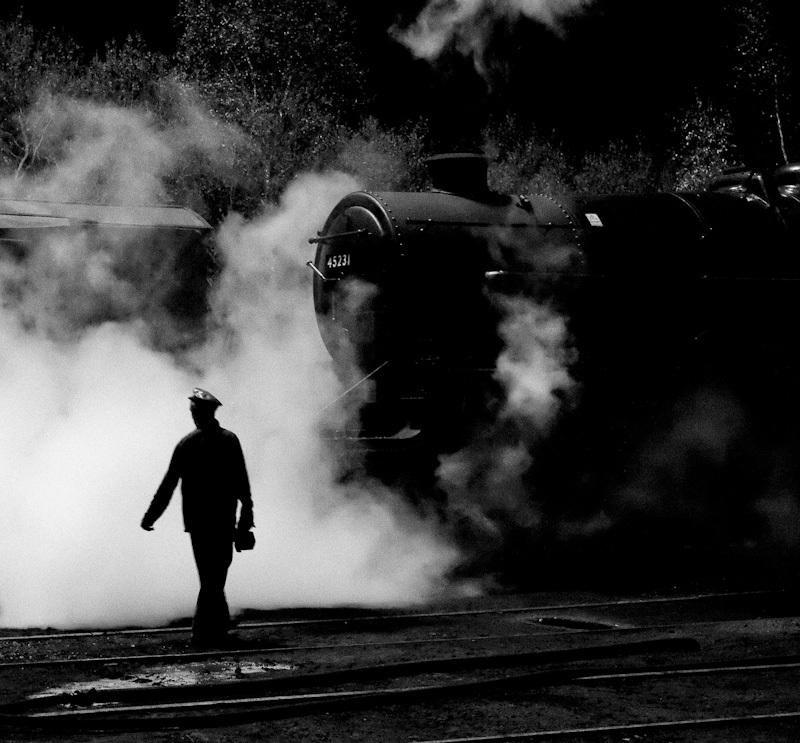 My favourite shot from this selection has got to be ‘Vulcan’ – lovely composition and nicely dramatic in monochrome.